Career change is a BIG DEAL. Stepping in to your Soul-Work is to be honored. While the actual outer change may happen quickly, the inner changes happen in layers over time, ultimately revealing your true authentic self. These patterns take time to unfold, and learning to recognize and embrace them can not only boost your business, but fill your heart with genuine happiness. 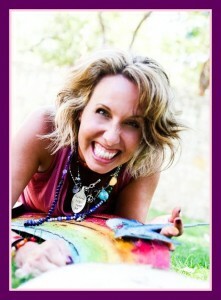 Allison Crow, is a speaker, writer, intuitive life coach, and teacher. A goddess of color, creativity, and unashamed moxie, Allison adores alignment, authenticity, creativity, connection, & balance. In 2010, after years of teaching, training, and coaching in traditional corporate positions, she took a grand leap of faith, trusted the promptings she was getting from the Universe, and started her creative visual thinking company alongside her coaching practice. Allison helps high­achieving, soul­centered, visionary women activate their gifts and truth to create SOUL­FULL lives by focusing primarily on the inner work of energetic alignment and beliefs. Allison is Texas native, lives in Austin with her husband and three dogs, Leroy Brown, Daisy Mae and Lulu, and she makes it a habit to play and nap as much as possible. You can find Allison online at www.allisoncrow.com.